Facebook Shop allows you to list your Create products on your Facebook business page, opening up your business to potentially thousands of new people! This is a great opportunity to widen your customer base quickly and easily, and only takes a few minutes to set up. 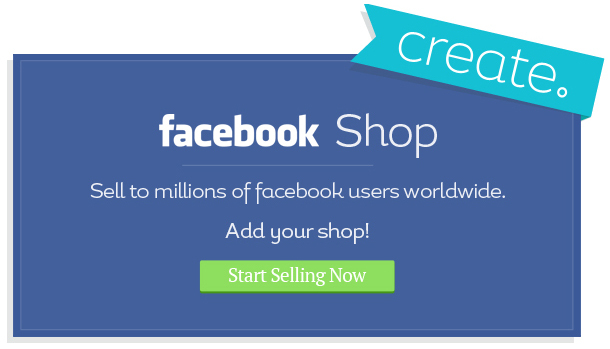 For more information on connecting Facebook Shop to your Create account, see our guide "How do I add Facebook Shop to my account". Once you have set up your page and connected this to your Create account, Facebook Shop will replicate your categories and product information as found on your website - including any Sale prices! You do not need to add products to your Facebook Shop directly, simply continue adding products to your Create shop as usual and Facebook will automatically update. For help with your Create shop settings, see our guide "How do I set up my Shop Products". Does my Facebook Shop get updated automatically when I make changes?